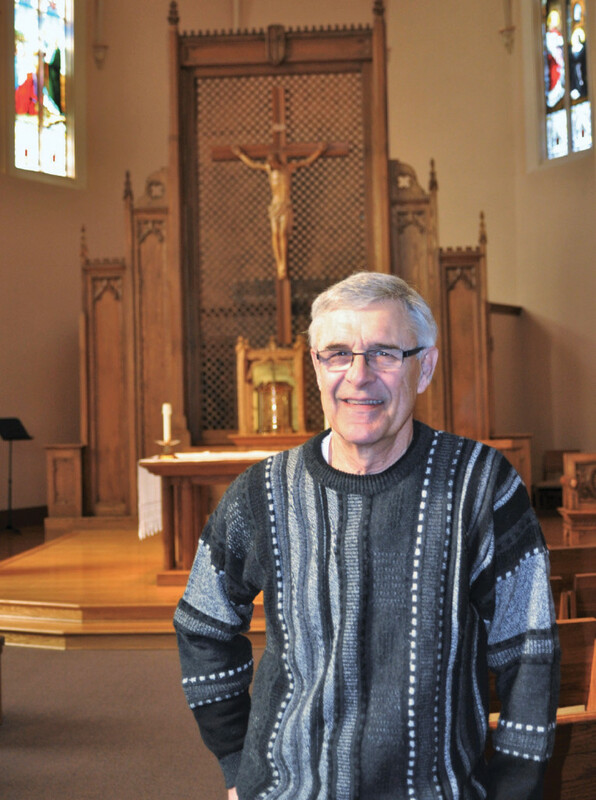 MIKE HARRIS ATTENDS MASS DAILY AT ST. PATRICK PARISH IN SPARTA, he leads the rosary every Thursday, he teaches CCD and helps teach RCIA and he is a walking encyclopedia of Catholic information. His devotion is so palpable that it could only come from what must be a lifetime of practice. You wouldn’t know it, but, at age 72, Mike has only been a Catholic for 12 years. Mike grew up in Rothschild and lived without religion. It wasn’t until he married Jayne that he set foot in a Catholic Church as a believer. Later on in life, he began to try a few different churches, but none grasped him quite like the Catholic Church. He realized he loved the ceremony and worship of the Episcopal Church, but when he moved to Sparta, he decided to attend the Catholic service with his wife. When he decided to become Catholic, he jumped in with both feet and an open heart and was not afraid to ask questions. “The trouble with me is, when I set my mind to something, I don’t stop, I want to know everything – and that’s what I did when I went through RCIA. I can’t read enough of it or talk about it too much,” he said. He said his conversion moment didn’t happen in a spectacular flash of light or at a low point in his life, but his dedication to the Church happened in little steps and small gestures. For him, it was someone asking him to lead the rosary, and now he misses it if he doesn’t do it once a week. Another “little step” for Mike was deciding to teach CCD. He has taught seventh- and eighth-graders and he encourages the kids to talk about the faith. Now Mike is helping with the RCIA class and he loves being able to help new converts. He says it can actually help lifelong Catholics to be around those who are newer to the faith.